Pokémon Spectrum is a fan game being made by myself with Essentials and some other resources. I've been working on this on/off in my spare time since February 2014. You are a person in a little known region, living in the small town of Lildune. However, an opportunity arises and you decide to go explore the region with all its native Pokemon that can't be found in other regions. There is an unknown world out there, with Gyms and Pokemon Trainers just like many other regions, along with myths and lore you must learn about for yourself. Can you catch them all, defeat them all, and rise to the top? -If you are using an outfit other than the default (i.e. the one given from the woman in Sahara City) change it back to the default outfit first. (You can regain this outfit by talking to the woman again after moving to 1.3). This step is only necessary for 1.3.0. Ignore this if going to 1.3.1. -Open the Pokédex and move the cursor to the first value in the Pokédex list (i.e. Kokoala). This step is only necessary for 1.3.0. Ignore this if going to 1.3.1. 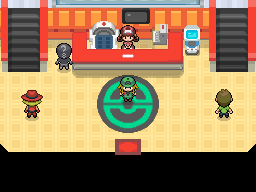 -Make sure you save in this specific spot in a Pokemon Center to prevent passability issues with the map changes. The first thing to do is to set all the options back to their default settings. Some options in 1.1 don't exist in 1.2, so having contradicting settings will cause an error if you don't change these back. Second, make sure you save in this specific spot in a Pokemon Center before going to the new version. There are so many map changes everywhere that this is the easiest way to make sure you don't end up stuck when you load up the new version. That guy is Mr. Compatibility Man. I made him specifically to help solve changes I made between versions. Talk to him to initialize your following Pokémon. Kalahari Gym also gives out a new TM of a new move now, so if you're in Kalahari City, talk to him in the Pokémon Center to exchange your old TM for the new one. I made the event in way so it'll only work for players who beat the Gym before this release. -Steam: Increases evasion by 2 stages and takes no damage when hit by a water-type move. Evasion also increases in rain. 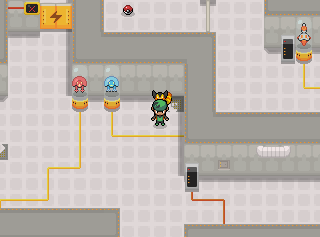 -Major map changes to Pokemon Centers, caves, every outdoor map, and some indoor maps. -Route 9 and Route 10 are now merged into one large route (Route 9). The maps are still split up internally to reduce lag. -Flower Shop in Sahara City is removed. It will come into play later. -Most Pokemon and Trainers are now animated in battle. 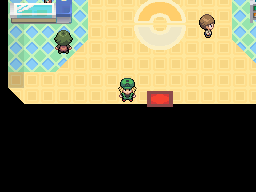 -Clothes can be unlocked through the game and changed at Pokemon Centers. 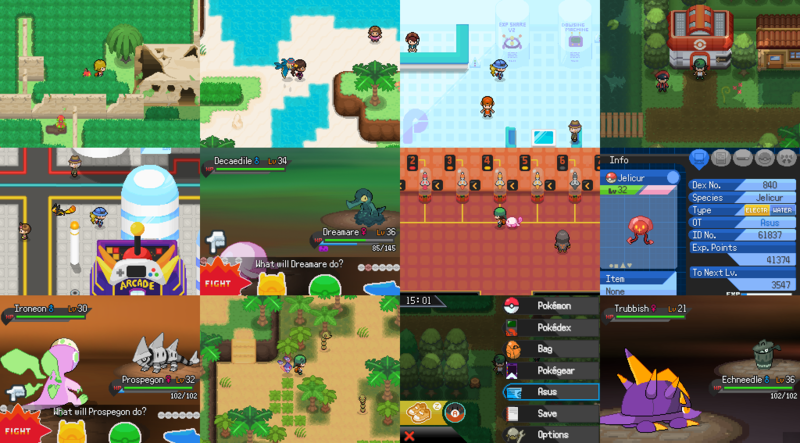 -Following Pokemon feature added. 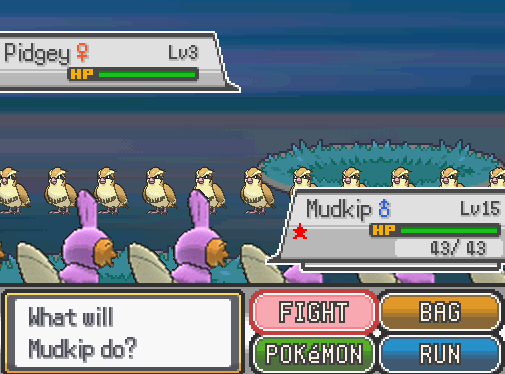 Currently only works with certain Pokemon (the ones with finished sprites). More sprites will be rolled out in later updates. -Cocombat now learns a signature move called "Coconut Drop" at level 27. It's a physical Grass-type move that has a chance to confuse the opponent. Damage is based on the difference between the user and opponent's weight, similar to Heavy Slam. -Wallopy learns a new move called "Fisticuff." It's a trapping move akin to Bind. -Platsplash now learns a new move called "Mind Control." This does the same thing as Foul Play, except it's Psychic-type. -Pajambaz now learns "Dreamtime" at level 23. This puts the user to sleep for two turns while raising its each of its stats by one stage. -Pajambaz also learns "Sheep Count" at level 45. This has the same effect and accuracy as Spore except it may affect Grass-types. -Cut is now optionally available to use on any compatible Pokemon other than Aychem. You must get the TM separately from a new NPC hidden in a new area. -Reduced encounter rate of official Pokemon in wild battles and made them less frequent in Trainer battles. -The game is now using essentials v16.1, so it comes with all of v16's standard features. Run toggle can be set in the options now rather than pressing the S key. -Added Day Care checker scene made by -FL-. This is unlocked via a Pokegear app given by a NPC. Not really much of a fan of the new back-Sprite style but that's subjective so eh. anyway, I noticed that there is a regional variant of the trubbish line, and something new with the grass koala, either a redesign or a new gimmick you can do with the starters, I kinda hope it's the ladder because I felt It already felt complete. overall this game is itself to get more promising and I am excited! Ohhhh man this is looking better than ever. I played this game a while back, and I love the vibrant colours of both the maps and the Fakemon, which are wonderful. I like the features you've added, such as following Pokémon and outfits! Glad to see this game again! Had a great time the first time I played it. Replacing old Pokemon with new forms is such a good idea, loving what the Garbodor line looks like now & can't wait for more! Wow - this looks super cool so far. The plot seems nice and simple, which I like and the effort that's been put into the fakemon look amazing. I love it when people animate fakemon because it looks so much better than just having them static. I love the upgrade given to EBS. I think it gives a nice touch on the system and I really like that. I will say that some of the maps in the development section look a bit empty, especially the first one. I feel like that looks kind of boring and plain. 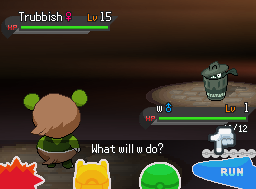 I'm also not a big fan of the Trubbish and Garbodor for one reason - it may confuse the player to see a totally different Pokemon. If you are going to change the way something looks, let people know about it, otherwise, it will lead to confusion. However, with that being said, the game looks amazing. I can't wait to see where it goes. Beautiful quality stuff as always kojo. The new forms feature is awesome, I also loved that you added a new fakemon to the Pan trio(Pansurge and Simisurge are now my favorites) I hope you do more of that for other pre-existing pokemon. This is honestly one of my favorite fangames I have ever played. I even wrote a review expressing exactly how good I think it is, and with the upcoming update I'm positive it will become far better than before. The animated sprites, cool and creative fakemon designs, diverse and interesting region and excellent re-imagining of classic Pokemon elements make this an outstanding game that's both cool and fun to play. The fact that it's almost all the work of just Kojo makes it extra impressive. Glad to see to that Pokemon Spectrum is going to continue being and is still in the works. Can't wait to see what the new update brings in person and looking forward to your progression on the project. The animated sprites are a really nice touch in the game and I love some of the designs in this game with Pyroo being one of my favorites. Fire starter for the win! If I could make one suggestion on a pokemon could Pajambaz be one of those pokemon that changes its design between a pool of randomly generated patterns like Vivillon. I think it would be a clever thing to have quilt or design variations between Pajambaz and it would be one of those pokemon that will offer collectors a fun little sidequest to catch all the designs. Also could you possibly send data to me or Techskylander about the pokemon in Spectrum to help us with updating the wikia with more precise information. Keep up the good work Kojo and look forward to the next update as Twitch said I can't wait to play the future updates and explore the Kroma region more. I loved playing through this game when I did (probably about a year ago), all the inspiration for areas and Pokémon that you can get from Australia. Usually I'm pretty iffy on Fakémon, I think the idea is nice but the execution is not so nice. This, along with how they tend to not blend very well with existing Pokémon, can make a game pretty iffy in terms of its monsters. However, I really like most of the Fakémon that are present in this game. I'm also pretty excited to see the sorta middle-ground you've introduced with having Fakémon alongside regional forms, it makes the line between your Pokémon and existing ones that bit more blurred which is nice. Overall, I really like this game, I'm looking forward to seeing future updates. I've never played a game like this before, its so reminiscent of the original pokemon, and totally nails the aesthetic of being on an adventure and playing an actual pokemon game. a lot of games try too hard to be something they're not, but this game nails it with the original sprites, the sounds, and the UI design, everything. The game was so much fun and I really enjoyed everything you did, and I can't wait to see what you do with it! Yo when I saw that development was continuing on this game I was super excited, loved this game the first time I played it! I agree with @Radical Raptr on the difficulty scaling, I only just beat the second gym by the skin of my teeth, but the environment and Pokemon all made up for it for me in the end. 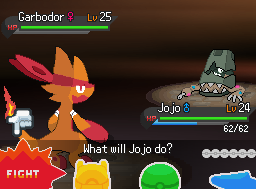 Also the kangaroo being fire/fighting is the one time I can't get mad about a fire/fighting starter. How were you able to animate your sprites? 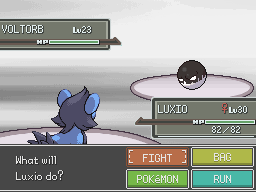 They use Luka's Elite Battle System plugin to make a more Gen 5-esque battle scene. To animate the sprites, the image files for the Pokémon are composed of strips of the frames of the sprite. 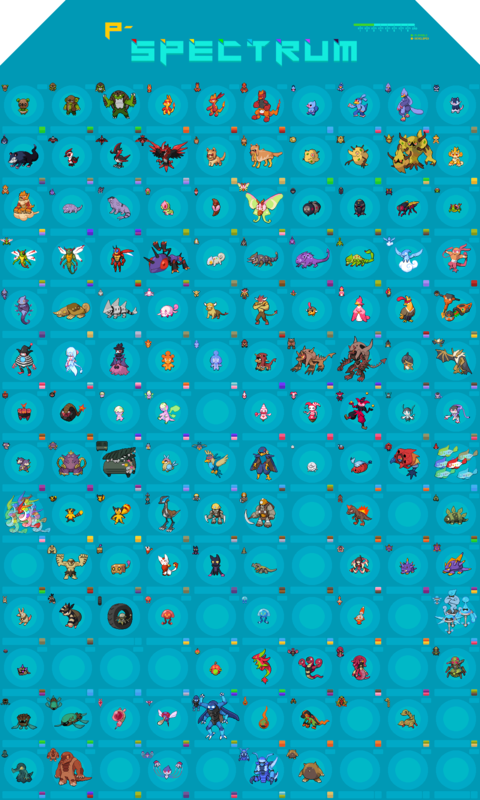 I couldn't find an example of a spritesheet file online, but here's what the spritesheets would look like without EBS. They sprite each individual frame. Made an account to just say that this is a pretty epic demo, had fun all the way through it and nabbed a few random shinies :D Looking forward to future updates! Also quick question to anyone, does Parabox just evolve into Charmeow, or am I doing something wrong? Still working on it. Hoping to get an update out sometime in the next few months. Still some maps and events to finish. 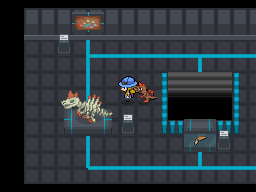 Battle sprite updates are pretty much done. O thank god, I had feared the worst for this masterpiece. It's good to see it is not only still in development but the fact it looks improved and more polished than it was already is amazing.